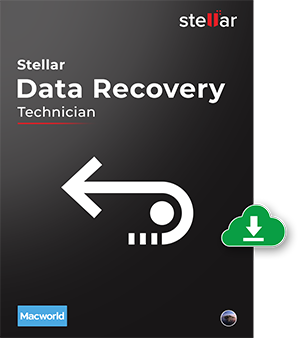 Stellar Data Recovery Technician for Mac is an advanced software for IT administrators and corporate users to retrieve all types of data from MacBook Pro, iMac Pro, Mac Pro, MacBook Air, and Mac Mini. The tool can recover unlimited lost, deleted, or inaccessible data from all Mac devices and storage media. *Free download to preview lost data and repairable files. Mac technicians can leverage Stellar Data Recovery Technician software to recover the files lost or deleted from Desktop, start-up disk, external hard drive, USB flash drive, folders, and emails directory, etc. The Technician license enables recovery from document files, digital media files, and archives from any model of iMac, iMac Pro, MacBook, MacBook Air, Mac Pro, MacBook Pro, and Mac Mini. The tool supports almost all widely used file systems for file recovery. Launch the software and recover your files in three easy steps—Scan, Preview & Recover. IT professionals can use Stellar Data Recovery Technician for Mac to recover inaccessible files from a working or unrecognized drive. The software can locate missing APFS, HFS, NTFS, FAT/ex-FAT partition for recovering data. Connect your external drive, FireWire, or Hybrid drive, and launch Stellar Data Recovery Technician on your Mac device. The Deep Scan feature can recover lost files from an internal or external storage drive. Thanks to the Boot Camp Assistant, macOS and Windows OS can reside on the same storage drive. But data loss from Boot Camp Partition can ruin the day of an IT Admin. With Stellar Data Recovery Technician, anyone can recover lost files or emptied Trash data and even the deleted Boot Camp Partition itself. The software performs data recovery from an NTFS formatted external drive too. Stellar Data Recovery Technician can recover Mac backups, which is the Time Machine storage drive. There are just a handful Mac data recovery Technician tools that support file recovery from a Time Machine external drive and Stellar is one such tool. Corporate users can use the Mac data recovery software to recover multiple Time Machine backup at their own convenience. The SMART Drive Monitor utility bundled with this software enables the users to monitor the health of multiple Mac system. It also helps the users to track and monitor start-up disk temperature, performance, and health along with performing other tasks such as mapping of disk’s bad sectors and creating emergency disk clone. Stellar Data Recovery Technician is the world’s first utility that has four features bundled in a single tool. The first two are Data Recovery and Drive Monitor while the other two are Repair for Videos and Repair for Photos. So, the software not just performs comprehensive data recovery but also repairs corrupt photos and videos and restores them in original condition. It is the best data recovery & repair kit for technicians who need to recover lost, deleted, or inaccessible data from the internal storage drive of MacBook Pro, iMac Pro, Mac Pro, MacBook Air, Mac Mini, etc. as well as external storage device such as HDD, SSD, SD card, and USB flash drive. The software can create image of the entire storage drive. The bundled Drive Monitor utility features disk clone functionality to create exact replica of a source drive to a target drive of equal or greater storage size than the source drive. Disk cloning is particularly useful in case of data recovery from a hard drive that has bad sectors. With drive monitor included in this advanced data recovery software, your dependency on other disk cloning software is fully removed. Stellar Data Recovery Technician for Mac offers three license keys that IT technicians can use for activating the tool on three Mac systems. This helps scale the software implementation as per the business requirement to recover more files from a variety of Mac storage devices. The DIY software is best suited for annual-maintenance-contract service provider, IT technicians, and corporate users. The software supports small businesses in garnering affordable data recovery software for Mac that can save them from accidental data loss disaster and business shutdown. Stellar Data Recovery Technician for Mac is fully compatible with macOS Mojave. The software supports Apple’s new file system APFS. Other supported macOS & OSX are: High Sierra 10.13, 10.12, 10.11, 10.10, 10.9, 10.8 and 10.7. A limited Mac data recovery technician software has the advantage of managing numerous file types for recovery. With Stellar, you can add new file-headers, remove, and select/unselect the files for data recovery conveniently. Does Stellar Data Recovery Technician for Mac supports RAID Recovery? No. It does not support data recovery from RAID. Can Stellar Data Recovery Technician recover data from logically/physically damaged hard drive? If the drive is listed in the Disk Utility application, the software can perform data recovery on a logically corrupt drive. However, the software does not recover from a physically damaged hard drive or SSD. On how many systems can I activate the Technician license? Stellar Data Recovery Technician can be activated on 3 systems. What is the license validity for the Technician version of Mac Data Recovery? The license validity for the Technician version is 1 year. Can we get the Box version or bootable CD along with the Technician license? The Box version is discontinued. However, IT personnel can install Stellar Data Recovery Technician on an external drive to recover a non-bootable macOS storage drive. Is the option of Transfer license available, or could we use the product simultaneously on different systems? This feature is now discontinued. I am using Mac OS Mojave. I have recovered all my files with Data Recovery Mac, however, I am unable to find the recovered files. Please make sure that you have allowed Mac to show hidden files. Read this KB - Why the folders recovered by Stellar Mac data recovery are empty? How can I solve that? The volume of my drive is not getting mount. How can I recover the data by using Data Recovery for Mac? You need to disable system integrity protection on macOS Mojave and High Sierra to list the start-up volume. Also, make sure that your volume is not physically damaged. Should Home Users Purchase Stellar Data Recovery Technician for Mac? For Home Users, Stellar Data Recovery for Mac is available in Professional and Premium versions. Both versions installs on a single system. However, Stellar Data Recovery Technician for Mac is an excellent choice if you have more than one Mac system at your Home. You can compare the features of the Professional, Premium and Technician versions here.